Cats are such unique creatures. They are at once independent, but somehow expect to be the center of attention. 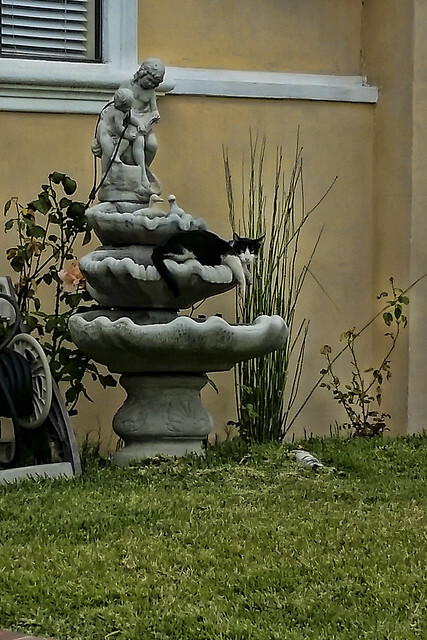 This one had claimed this unused fountain. He did not budge even when I got closer to take a picture. Of the thought, of the thought, of the thought of his name." I love this one. I'm guessing that the drought has made this a dry place to rest.